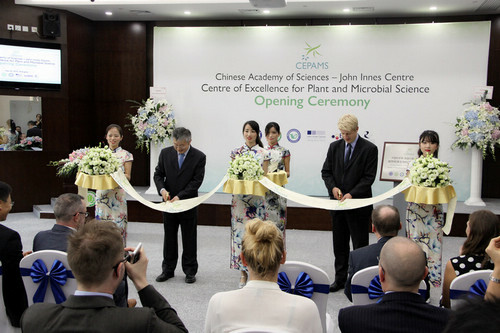 The Centre of Excellence for Plant and Microbial Science (CEPAMS) was formally opened in Shanghai by Jo Johnson MP, the UK Minister of State for Universities, Science, Research and Innovation, on 24 September, 2016. 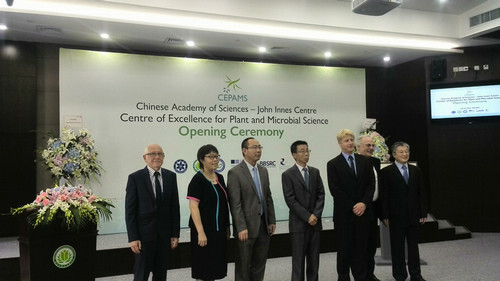 The CEPAMS forms the basis of an international partnership between the UK’s John Innes Centre and two institutes of the Chinese Academy of Sciences. 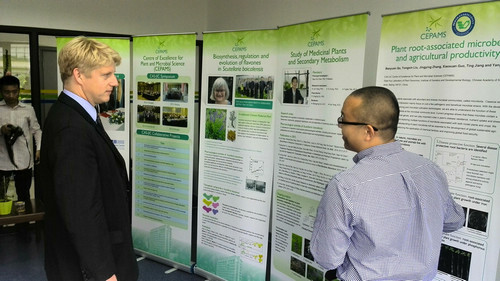 The CEPAMS partnership was established in 2014 with funding from the UK Biotechnology and Biological Sciences Research Council (BBSRC) and the Chinese Academy of Sciences (CAS). 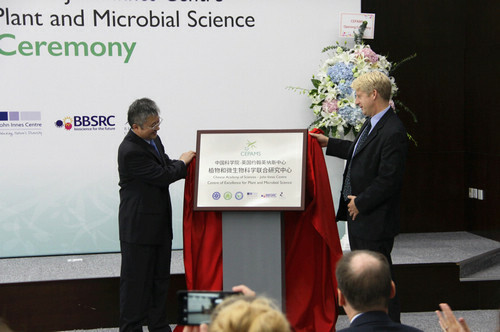 It brings together three world-leading plant and microbial research institutes: the John Innes Centre (UK), the Institute of Genetics and Developmental Biology (Beijing) and the Institute of Plant Physiology and Ecology (Shanghai). The launch of the Shanghai laboratory marks a milestone for the scientific relationship between the UK and China. The new facility will be one of two in China with dedicated state of the art laboratories in Beijing and Shanghai. CEPAMS will employ 10 Group Leaders heading internationally outstanding groups of researchers investigating plant and microbial science. Collaborative research to address the global challenge of food security will be supported in areas such as improving crop yields, decreasing the threat from crop pests and pathogens and reducing the need for artificial fertiliser. Sixteen research themes have already been funded in areas of shared scientific excellence. Research to improve human health includes two projects relating to the study of Chinese traditional medicines. Though the new facility is being opened today, many CEPAMS collaborations have already been established. A team of scientists based in the UK and in China, published important research on how the Chinese plant, Scutellaria Biacellensis produces a potentially valuable anti-cancer compound, paving the way to upscale production for medicinal use. The first CEPAMS Group Leader, BAI Yang, took up his position in May 2016, joining from the world-renowned Max Plank Institute in Cologne. The BAI laboratory, housed within the Institute of Genetics and Developmental Biology in Beijing, investigates microbes associated with healthy plant growth.